Here’s the first book in the promising new Daring Dreamers Club series. That’s Milla in the middle, and the story centers around her quest to go on the annual fifth grade overnight adventure camp trip. Her moms are a bit protective after a past unfortunate encounter she had with a dog and her food allergies are always a concern. Milla decides to demonstrate her responsibility in a variety of ways to convince them to sign the permission slip. Not all goes as planned. Fifth grade also brings about a weekly group meeting with a teacher advisor. Milla is assigned to Ms. Bancroft, the new music teacher. She’s joined by new and old friends Piper, Mariana, Zahra, and Ruby. A diverse group for sure both in ethnicity and interests. After their teacher assigns them to write in a journal and choose a princess they are most like (thus the Disney connection), they decide to name themselves the Daring Dreamer’s Club. Each of their entries is where you get to know each one—their hopes and wishes along with their fears. This should appeal to princess loving kids, especially those who side with Tiana, Belle, Ariel, Mulan, or Cinderella. It’s also a story without bullies and focuses instead on cooperation and a strong thread of helping each other find the best in themselves. PIPER COOKS UP A PLAN is book #2, but we’ll have to wait until January 2019. Diversity—just like you’ll find in most schools. The story would make a great read-aloud for those young princess loving girls who are just entering the world of middle grade books. The journal pages from each of the five characters are spread out over the entire book. A nice way to introduce these young girls. Milla gets a few more entries since this is her story. Friendship is displayed in a variety of ways. It’s what our world needs more of no matter what age you are! The Author’s Notes reveals the author’s princess inspiration along with where the character Ms. Bancroft came from. A much more detailed and welcome background. Once upon a time, there was a fifth grade girl who loved the idea of exploring. But this poor thing had never actually gone on any kind of real adventure. In fact she had never really been anywhere except her little town. I also write a lot of books for tweens and young adults as Erin Downing! If you would like more information about any of these books, please visit www.erindowning.com. 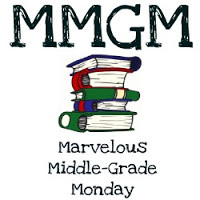 This entry was posted in Middle Grade Book Reviews, Reviews and tagged Daring Dreamers Club, Erin Soderberg, Fema, female protagonists, Middle Grade Book Reviews, Milla Takes Charge. Bookmark the permalink. I really like the diversity in this story. It really addresses many issues youth deal with from food allergies to bullying. Great line. What a fun summer read! The journal style and connection to Disney princesses make this book sound very unique. As someone with many food allergies, I could also probably relate to some of Milla’s struggles as well. Thanks so much for the recommendation! Sounds like a sweet book and love the diversity. Going to camp is a big thing in 5th grade so I bet a lot of girls could relate to this. This sounds like a fun idea for a series. Princesses are always popular and a diverse group like this sounds like there is plenty to mine for future stories. Thanks for telling me about it. Hi, Greg ~ You had me at no bullies, cooperation, diversity, and helping each other! This sounds like a very positive read for children of all ages. Thanks for sharing it for MMGM! This looks really fun, and I’m always sympathetic to a girl with food allergies who longs for adventure! Kind of describes me. Thanks so much for the recommendation! This sounds like a great book to appeal to girls who like to be feminine and have adventures! Wish it had been around when my daughters were younger. Thanks for the review!